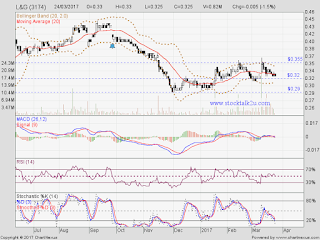 Will it rebound @ RM0.32 support level? MACD moving toward negative region, downtrend sign. Immediate support @ RM0.32 level. Subsequent support @ RM0.29 level. 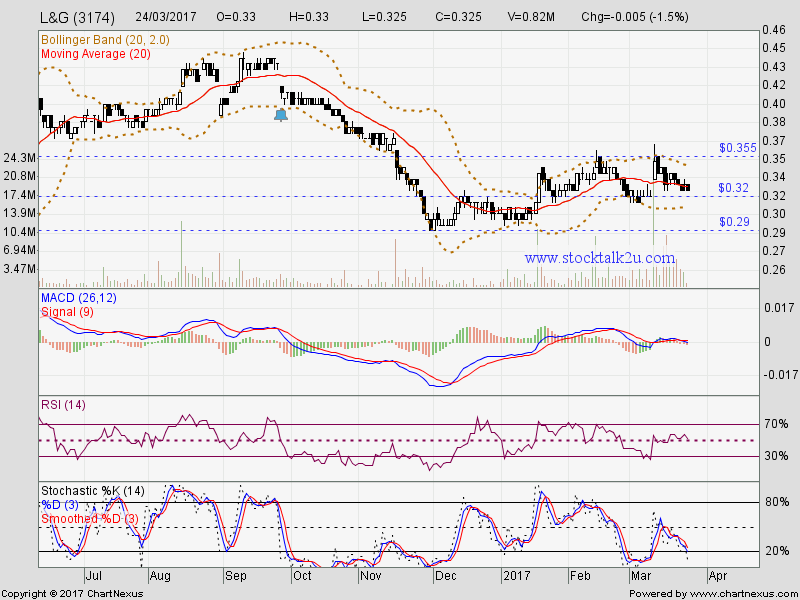 Subsequent resistance @ RM0.375 level.